Finding the right bar to enjoy a big sports game needs to be carefully considered. Location, how easy it is to view the TV screens, atmosphere, food, beers on tap, all need to be factored into the decision making process. So, when that next big sports game is on where should you head to? 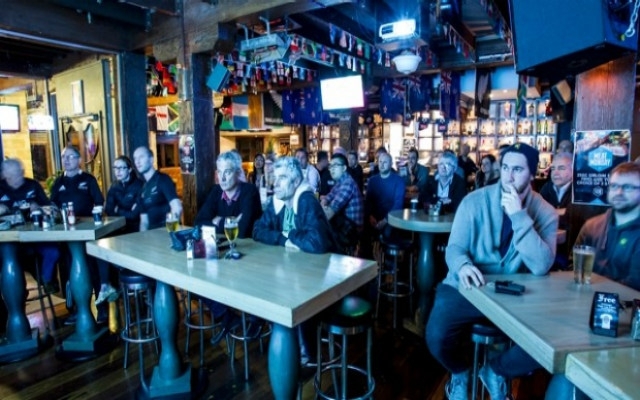 Here's our guide to the best bars in Auckland to enjoy watching sports. 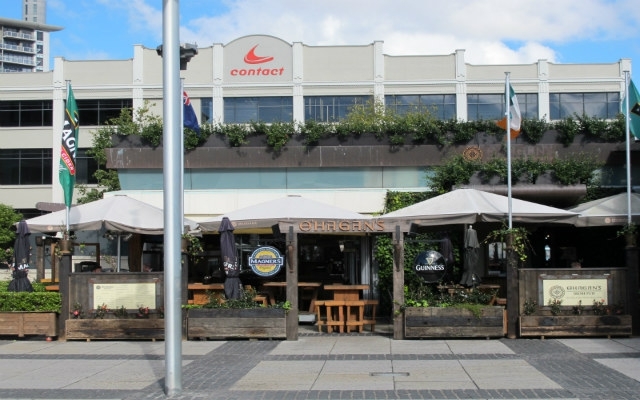 English styled sports bar in the heart of the Viaduct Harbour. Great views of the harbour and plenty of views of the sporting action with 9 large TV screens. The bar has a 24/7 license so a good choice when big international events are being played in the middle of the night in New Zealand. The bar includes 11 tap beers, two pool tables and a private gaming lounge. Location: 85-87 Customs Street West (Viaduct Harbour). O'Hagan's is a traditional Irish themed pub serving authentic irish cuisine. It's a popular pub with a warm decor, live music and both indoor and outdoor areas with large screen TV's. Enjoy a pint of the black stuff, enjoy the views of the harbour and soak up the lively atmosphere. Location: 103 Customs Street West (Viaduct Harbour). 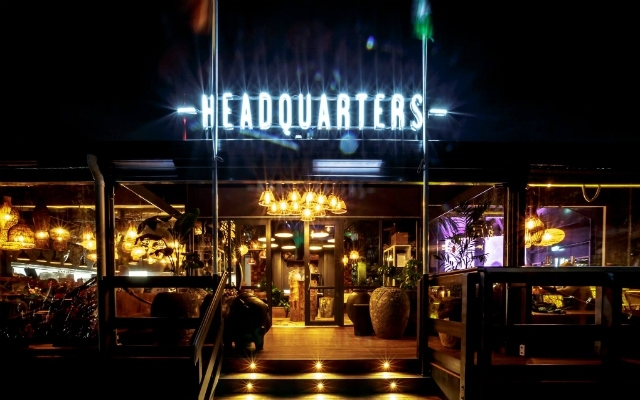 Headquarters is a stylish bar and restaurant that's located in the heart of the Viaduct Harbour. The menu is simple and stylish just like the interior. The pizzas are a great accompanient to the beers while watching the sports action on their giant 5m x 2.8m indoor screen, making it the biggest of its kind in New Zealand. Although not a dedicated sports bar, the Britomart Country Club offers a different type of atmosphere to watch a game. 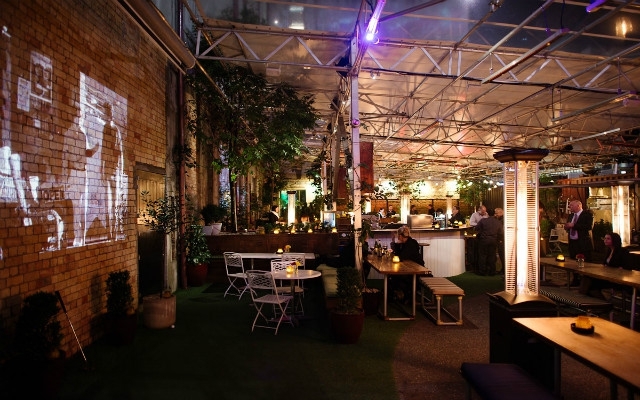 Located in the fashionable precinct of Britomart, it's the largest courtyard bar in New Zealand. With plenty of greenery including an overhead creeper and real grass, there's a secret-courtyard feeling to enjoy the sports action on two giant HD screens. Regular live music from some of Auckland’s best bands and DJs is reason to stick around after the game. Location: 31 Galway Street, Britomart. 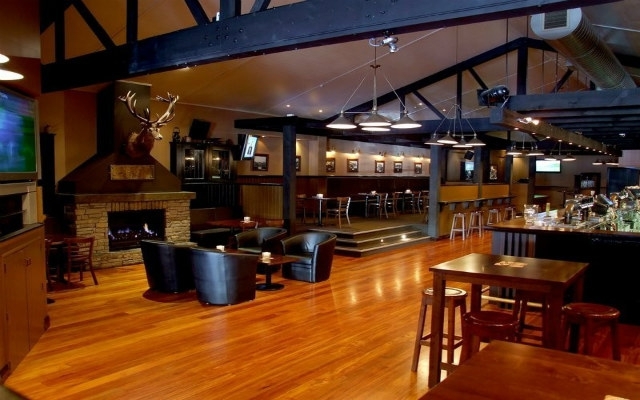 Situated in the suburb of Parnell, The Paddington is a bar that's geared up to watch sports. Several rooms have large screen TV's showing all the domestic and major international events. The gastro pub menu has 'specials' on throughout the week. Location: 17 St George's Bay Road, Parnell. 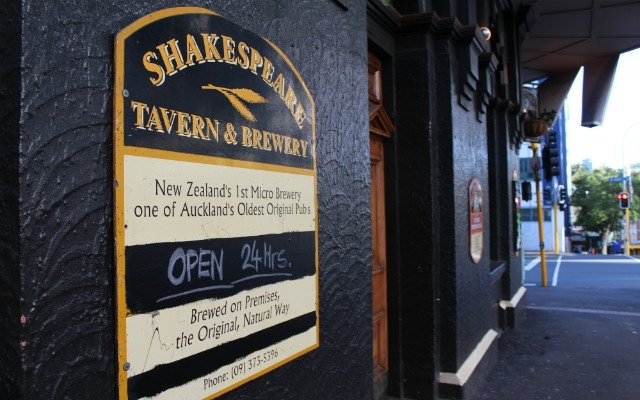 Located centrally in Auckland's CBD, Shakespeare Tavern is an english style bar which also doubles up as a 10 room hotel. The 100 year old bar has a number of large screen TV's, a gaming lounge and a restaurant complete with outdoor decking area. A good option to combine an overnight stay in the heart of downtown Auckland. Location: 61 Albert Street, Corner of Wyndam & Albert Streets. 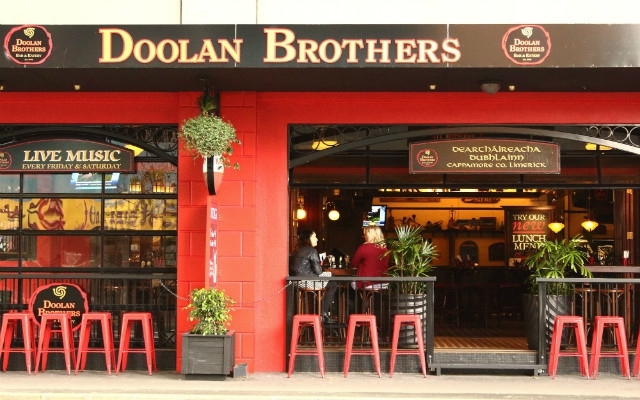 Doolan Brothers is a chain of irish themed bars located in four different locations - Newmarket, Ellerslie, Botany Downs and Lynfield. Large bars, good food, live music, lively atmosphere and a couple of big screen TV's. Location: Doolan Brothers Newmarket / Doolan Brothers Ellerslie / Doolan Brothers Lynfield / Doolan Brothers Botany Downs. The Kingslander has been a fixture in the suburb of Kingsland since its life as a 19th century grain store. The bar has three big TV's and seven plasma screens so there's no chance you'll miss the game. The menu offers hearty pub fare with daily specials. Location: 470 New North Road, Kingsland. 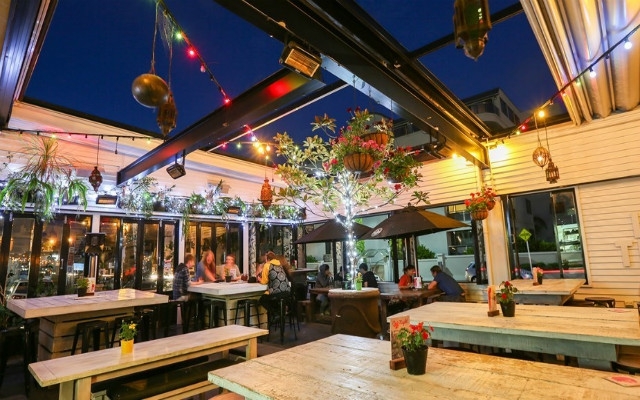 The Elephant Wrestler is a large and lively bar in the centre of Takapuna on Auckland's North Shore. 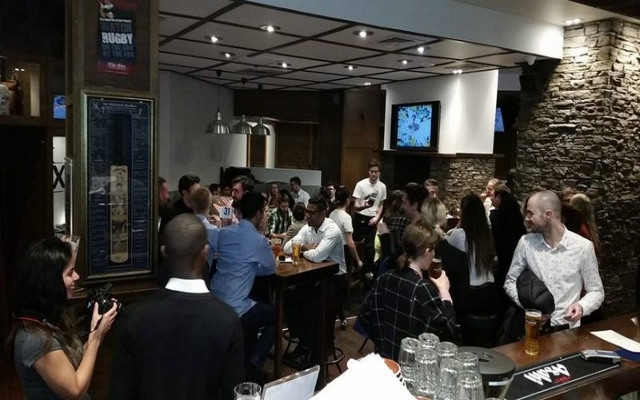 The gastro pub is New Zealand's only official Heineken Bar with plenty of room to mingle. The spacious bar features 6 wide screen televisions, its own garden bar with retractable roof and a decent food menu. Location: 138 Hurstmere Road, Takapuna. 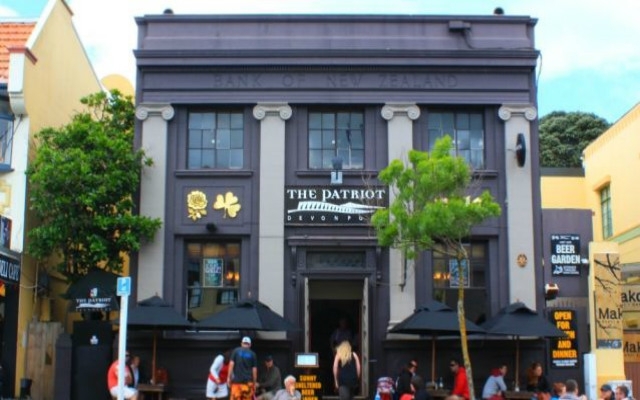 A good spot for UK ex-pats, the Patriot Pub is an english pub situated in the pretty seaside suburb of Devonport, a 12 minute ferry from downtown Auckland. The bar has good, quality food, a couple of big screen TV's and a courtyard with a huge screen for the big matches. A pool room features on the second floor, while there is an outdoor seating area to watch the world go. Location: 14 Victoria Road, Devonport. For full details on all the bars to watch sports in Auckland, please check out our 'Sports Bars' section.